This is the first comprehensive investigation of the industrial sourcing and procurement practices throughout sixty-eight construction industry supply channels across seven major commodity sectors at all levels. London presents real-world case studies to combine theory and practice to describe the economic structural and behavioural characteristics of sectors integral to the construction industry performance. Construction Supply Chain Economics details 'everyday' experiences and procurement decisions made by people in firms in the industry related to projects as they seek out other firms to work with during the tendering stage. London creates a language that enables us to classify and understand behaviour and recognise the impact of our decisions on firms and projects within the industry. 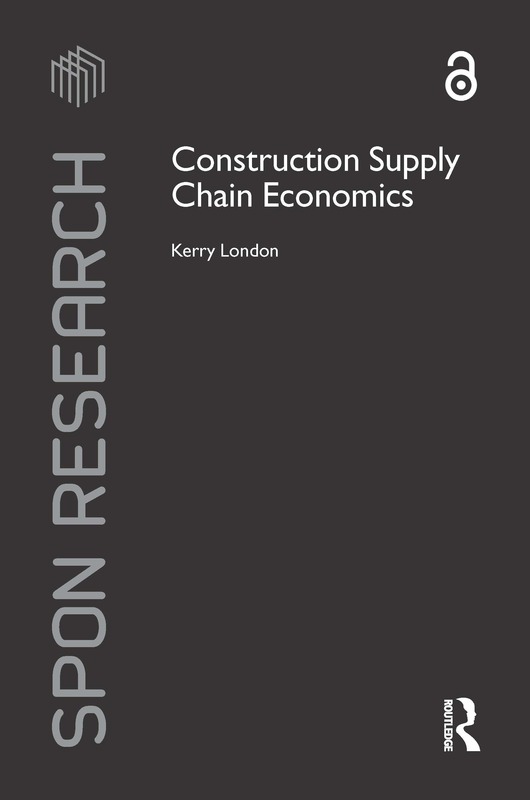 Construction Supply Chain Economics introduces a new model for mapping the construction sector of particular interest to construction management and economic researchers and to procurement decision makers, including policymakers and clients, as well as industry practitioners, such as contractors, consultants and materials suppliers. Kerry London is an Associate Professor in the School of Architecture and Built Environment in the Faculty of Engineering and Built Environment at the University of Newcastle, Australia.